We decided to share our cheer and joys of 2017 with our camper community. With Coleman coming on board with giveaways and us at Campmonk always scheming to get people outdoors, we ran a Christmas Giveaway Contest on our social media pages to give out goodies that our combined love for nature and camping could offer to Campmonkers. We chose a random selection tool available on the internet (Comment Picker:https://commentpicker.com/) to do the job of selecting the winners for us. Lets cut straight to the chase, shall we? We know you’ve been waiting. 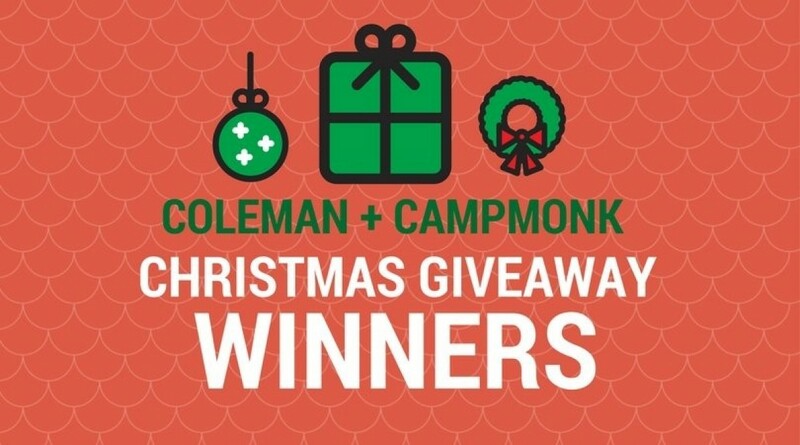 Here are the 10 winners of Campmonk + Coleman Christmas Giveaways! Congrats to the winners! We hope you enjoy exploring the outdoors with your brand new camping gear. :) We’ve topped up your prizes with a Gift Certificate from Campmonk redeemable on the campsites listed on www.campmonk.com. We will reach out to you through email shortly. You now have all the reasons to step out in 2018 and all the reasons to make it an amazing one!